Porsche takes on the greatest challenge in off-road racing and tackles the Paris-Dakar Rally for the first time in 1984. For the 14,000 kilometres through the Sahara, Porsche conceives the 911 3.2 4x4 (953). With reduced compression for poor quality fuel, the near-standard 3.2-litre engine delivers 225 hp. The power distribution between the front and rear axle is 31:69. The centre differential can be locked manually. Thanks to 27 centimetres of wheel travel, double wishbone suspension with double shock absorbers at the front and a reinforced rear axle with additional coil springs, this 911 can cope with all terrain. The luggage compartment houses a 120-litre fuel tank, with an additional 150-litre tank mounted behind the driver’s seat. The body is reinforced with a welded-in steel cage. Doors, roof, front fenders and the side and rear windows are made of plastic. Linking the rich history of Porsche cars to the future of e-mobility, the 356 "No.1" Roadster will make an appearance along with the all-electric Concept Study Mission E. The "No. 1" will be in the Porsche Paddock Hospitality area while the Mission E will be shown in the Porsche Exclusive Manufaktur area. Other displays include more than 1,300 cars in the Porsche Club of America corrals and 70 significant race cars in the Porsche Heritage tent. 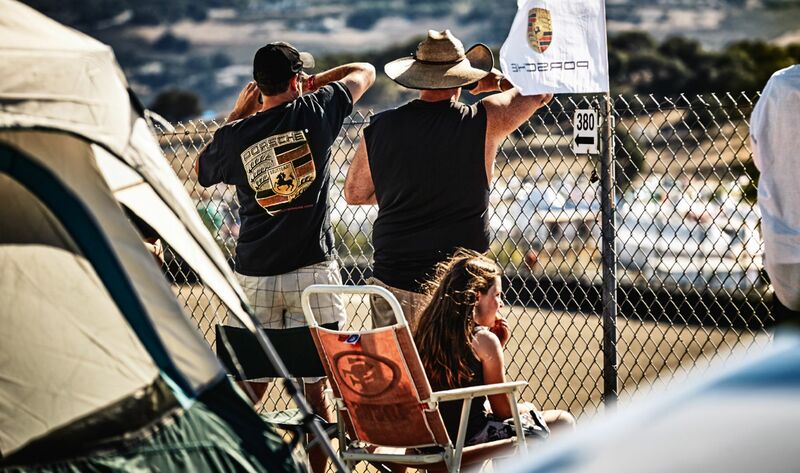 World’s largest gathering of Porsche race cars and drivers to return to Monterey. Porsche Cars North America (PCNA) released more details.